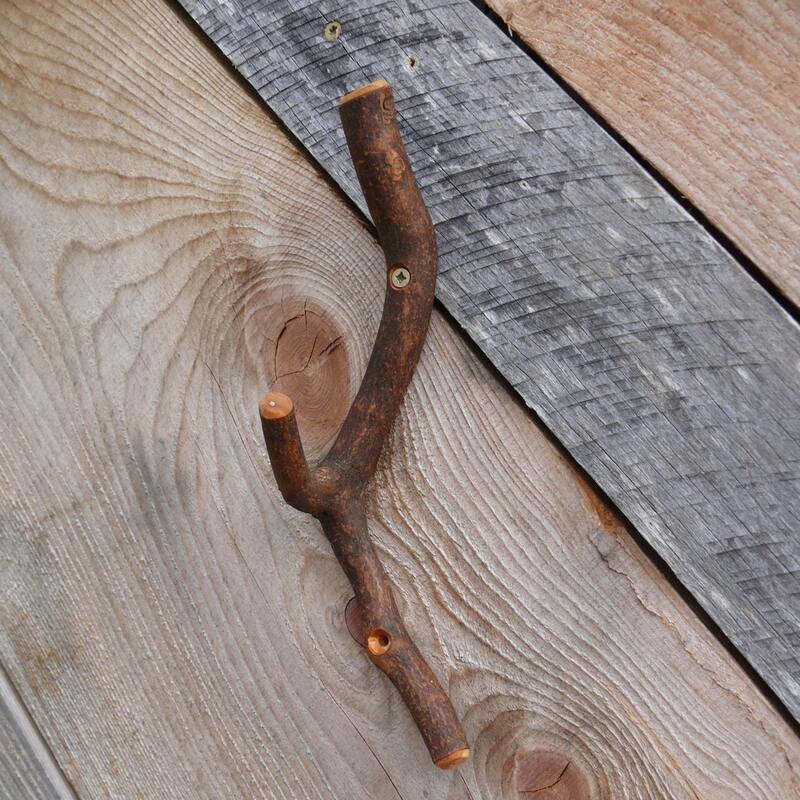 This is a listing for a one of a kind hardwood branch hook with a great curve on the bottom. 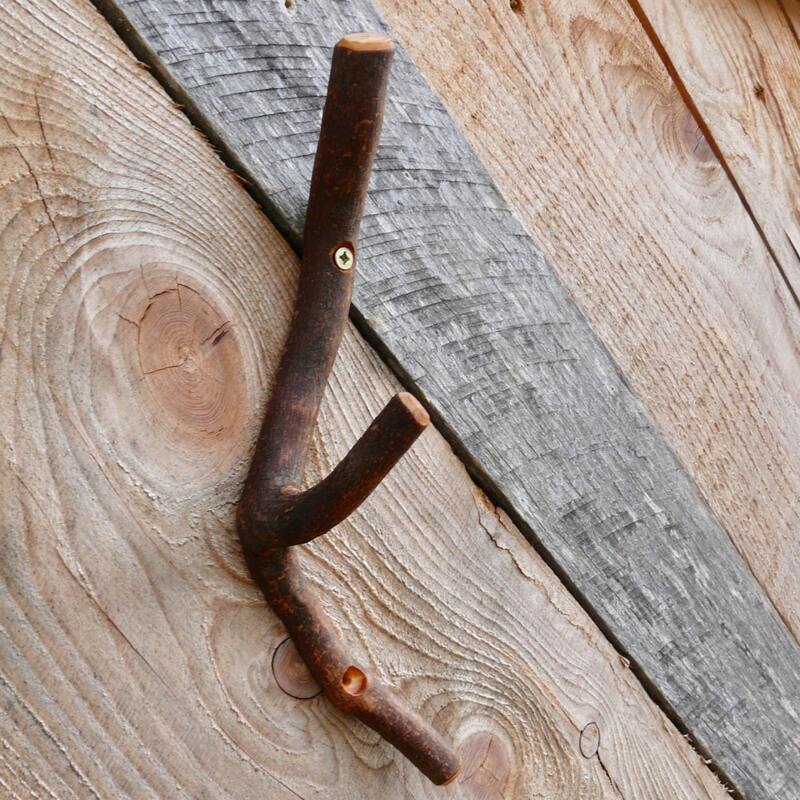 These strong hooks can be used as coat hooks, potholder hooks, towel hooks, purse and tote holders, etc. The backside is cut flat and two screw holes are pre-drilled and countersunk in each one for easy wall mounting. 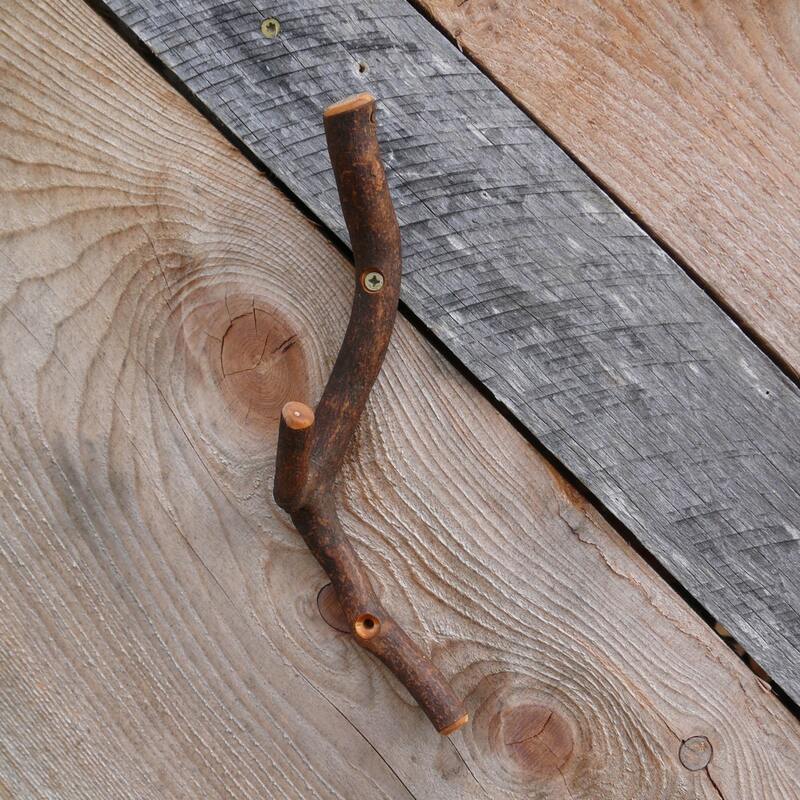 The wood is thoroughly cured and sealed with alcohol and water resistant pure Tung oil finish. No solvents or stains. Two screws and two drywall anchors are included. Approximate size: 10" long x 3" wide The hook portions are about 2 1/2" inches long. These are hand crafted in the Blue Ridge Mountains of NC by craftsman Jem Klein. The wood is sustainably harvested Rhododendron. 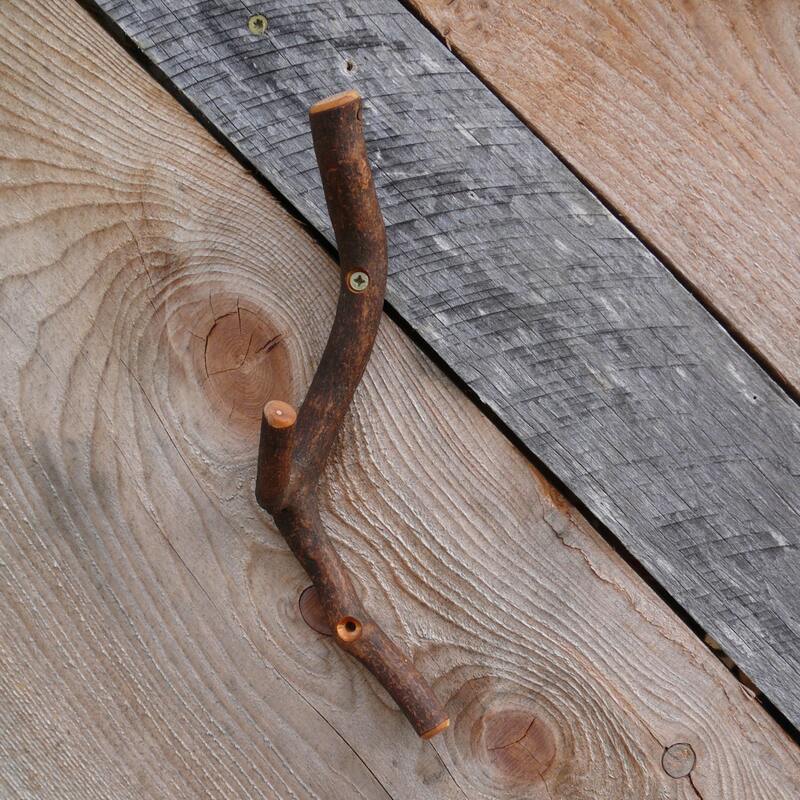 This listing is for one branch hook pictured above.